Just looking at the yellow mark, it might be pretty close to the CG. It looks like it is about 7-8" in front of the pivot for the center stand and that would make the front wheel rest on the ground and the rear wheel dangle in the air when the center stand was deployed. So it's not just me that hits the kill switch when I reach for the bar? Now that you mentioned it, I never even noticed the kill switch on my 2011 B5 - which should tell you something about its impact on my RE experience. I got a email from my selling dealer itâ€™ll be October before my Pegasus gets in here state side. I did order it in brown mainly because my friend ordered a green one. Easyer for us old guys to tell them apart. After seeing Wildbill photos of his bike Iâ€™m glad I chose the color I did. Beautiful bike. I wish now I had bought a military C5 back in 2013 when I got my B5. But if I buy another RE it will be the Himalayan, which is still not available at my local dealer. I've had enough with the latest vibration bit of crap and although I do waste the odd $.. I decided I will not risk it! following extensive youtube reviews I thought about the following three bikes. I thought about selling the Pegasus but disappointingly no bites even with a $2000 drop in purchase price on a 150 mile near new 3 week old bike. so I decided I just have to wake up to myself a bit and stop throwing the big cash at the enfields...lol plus I want a friggin bike I can at least ride or try too. there is a guy who has been waiting to go for a run with me since January and I've continuously knocked him back as I have been plagued by bike drama. at the moment the way I look at it-if I did go 650 i could have a lemon in both hands....LOL and I say stuff that! The Himalayan would be a great choice, It has become my favorite bike. Very little vibration for a single cylinder motor and the best all around bike I have ever owned and you donâ€™t get a hernia just pushing out of the garage. My dealer in the Portland, Oregon area still has three new ones in stock as of last weekend. You could fly into PDX then ride it home. Ask for Mike Durbin the owner, a great guy to deal with. PM me if I can help. He may have a bit of difficulty navigating back to Oz. The ferries are a bit slow. For what it's worth, I'm pretty sure the RE 650 engine has a anti-vibration counter-balance shaft in it. If it does, the old vibration worries aren't a good reason for not buying one. My thought exactly; it does have a balance shaft (as does the Himalayan. Both should be fine, though Iâ€™ll wait for others to jump in with the twin before I risk any more cash on an RE. My hope is that they re-engineer the C5 to keep the good bits (longish stroke, low revving) while getting rid of the poor design features. Iâ€™d like a 500cc that has the same bore and stroke as the current models, but bins the primary chain in favour of gears, is SOHC with screw and locknut adjusters, has a conventional spin-on full flow oil filter and a proper valve lifter for starting. In common with the 650 twins there would be a standard and a sports variant. In this case though there would be more differences than just cosmetic. Iâ€™d like the sports variant to have a four valve head and twin exhausts, maybe siamesed. It would also have a different frame like the CGT but would be appreciably faster than the standard bike and would have a close ratio gearbox, clip-ons and rearsets, maybe with an optional sports fairing ie something worthy of the CGT name. Dream on perhaps, but I donâ€™t see why we couldnâ€™t have a more conventionally designed 500cc engine with the long-stroke format that gives us the lovely feel of the thumping engine that we all love. why did RE just drop several points in the stock value? coincidence? I think not! 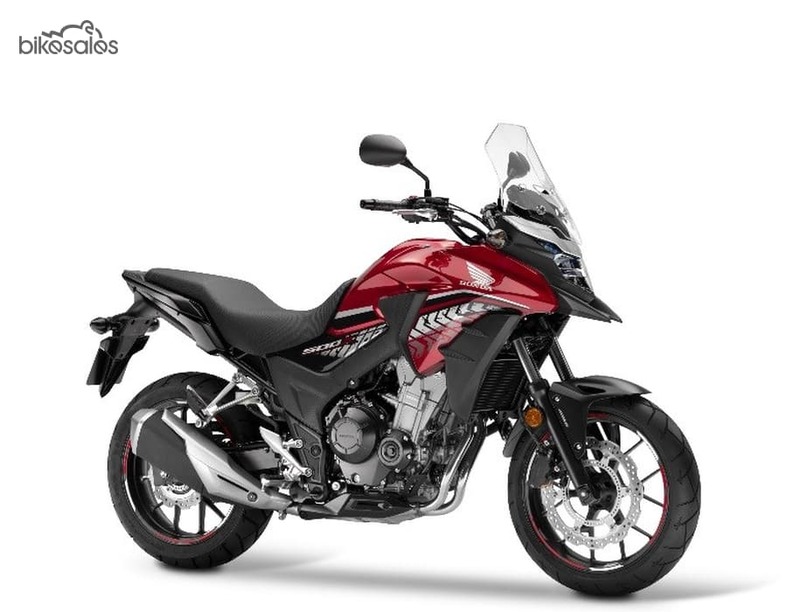 i'd say at this stage I will go ahead and get that cb500x but I will sit back and evaluate how things go and maybe not cancel the 650 interceptor â€¦ or not yet! You might ride one of em too. I hope you get the interceptor as twins are always relatively smooth as compared to a single. The vibration of a single is half the reason to buy one (after having 12 I guess you know that . I was looking forward to your report on the interceptor. The Honda (a twin) is a nice bike though and one you can tour on. Whatever you go for just have fun! I am of to the Great ocean road next week for a road trip and cant wait. Hi Arizona people, just noticed that Go AZ in Peoria now carries Royal Enfield and it seems they have a Himalayan in stock.